Andy Jiang is a global strategy consultant specialised in helping organisations to succeed in the Asia region, with a focus on China. 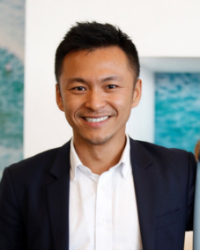 Most recently, Andy was the China Country Manager at Tourism Australia, responsible for growing China to become the largest and the most valuable source market for the Australian visitor economy. During his two-year term in that role, Chinese visitors to Australia grew from 1 million to 1.4 million, and total overnight expenditure surpassed the important $10 billion Australian dollars mark. Prior to running China operation, Andy was the Head of Asia Development at Tourism Australia’s head office in Sydney, responsible for strategic projects across Greater China, Japan, South Korea, India, Singapore, Malaysia and Indonesia. Prior to his tourism career, Andy advised Australian resources, energy and agricultural businesses seeking strategic investments from China. Andy is also a charismatic public speaker with a strategic mind who can tailor market information and insights to suit specific business requirements and objectives. Having worked with stakeholders across all levels of an organisation, Andy is experienced in a wide variety of speaking engagements – from boardroom workshops to industry conferences. A Shanghai native, Andy has studied and worked in China, the United States, France, Singapore, Russia and Australia. Andy is fluent in Mandarin Chinese, has a Chartered Financial Analyst designation, and received his MBA degree from INSEAD. Rise of free and independent travellers – what do consumers really want?